New legislation in the U.S. House of Representatives would require mobile carriers to detail their "guaranteed minimum" data speeds and their network reliability statistics to potential customers. 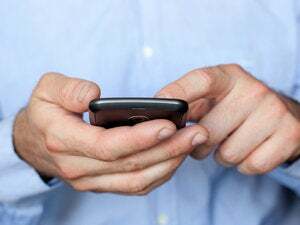 The Next Generation Wireless Disclosure Act is designed to give mobile customers more information about new 4G services, said Representative Anna Eshoo, a California Democrat and bill sponsor. There's no standard definition of 4G mobile service, giving customers "vastly different" speeds depending on the carrier and location, Eshoo said in a statement. "Consumers deserve to know exactly what they're getting for their money when they sign-up for a 4G data plan," she added. "The wireless industry has invested billions to improve service coverage, reliability and data speeds, and consumers' demand for 4G is expected to explode. But consumers need to know the truth about the speeds they're actually getting." Carriers would have to provide information about the 4G service, also including coverage maps, "consistently, clearly, and prominently in all marketing materials," according to the bill's language. "Consumers want faster, more reliable wireless data service," Eshoo said. "We need to enhance transparency and ensure consumers are fully informed before they commit to a long-term service contract." The legislation would require the U.S. Federal Communications Commission to compare the prices and speeds of 4G data service at the 10 largest U.S. mobile carriers and provide consumers with a side-by-side comparison. CTIA, a trade group representing large mobile carriers, said the bill adds a "new layer of regulation" to mobile service. The legislation ignores "the fact that wireless is an inherently complex and dynamic environment in which network speeds can vary depending on a wide variety of factors," Jot Carpenter, CTIA's vice president of government affairs, said in a statement. Carpenter called on Congress to focus on the "real issue" -- making sure carriers have enough wireless spectrum. Consumers Union, the Media Access Project and Public Knowledge were among the groups expressing support for the bill. The legislation will "empower consumers who are shopping for wireless broadband service," said Parul Desai, policy counsel at Consumers Union.